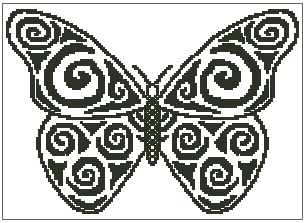 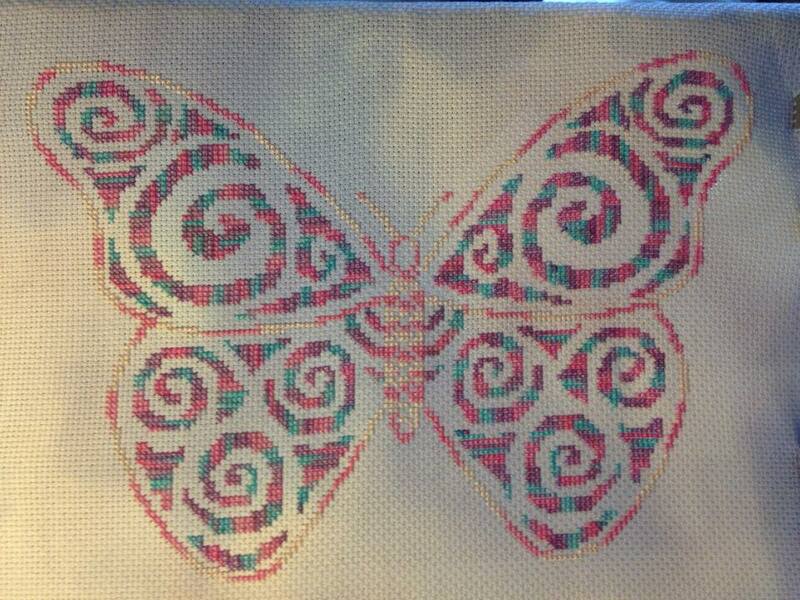 Tribal Butterfly is an outline chart measuring 146 stitches wide by 102 stitches high, and has been designed for you to use whichever colours you choose when stitching. 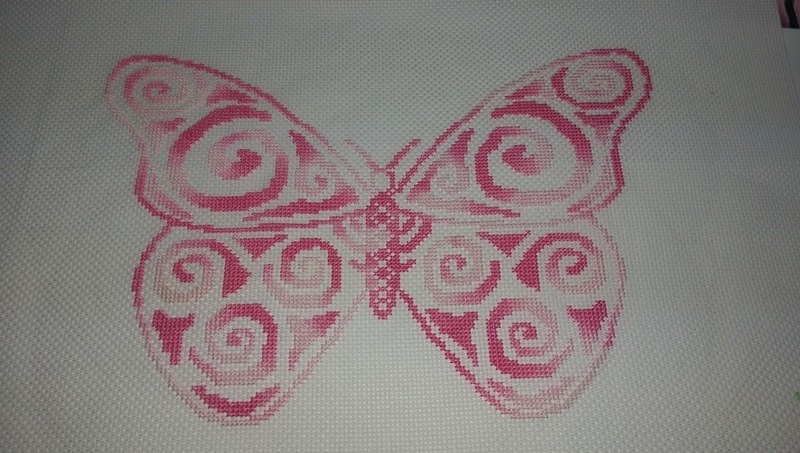 It is perfect for hand dyed thread and fabric. 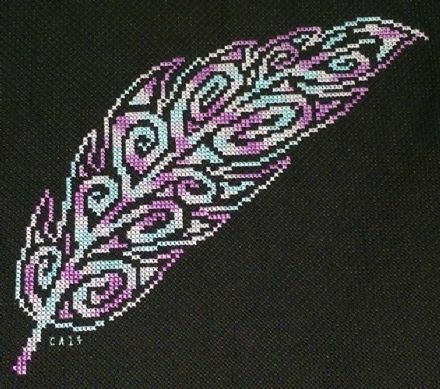 If stitched as charted, and on 14 count fabric, it is estimated that you will need 2 standard skeins of thread if all done in the same colour. 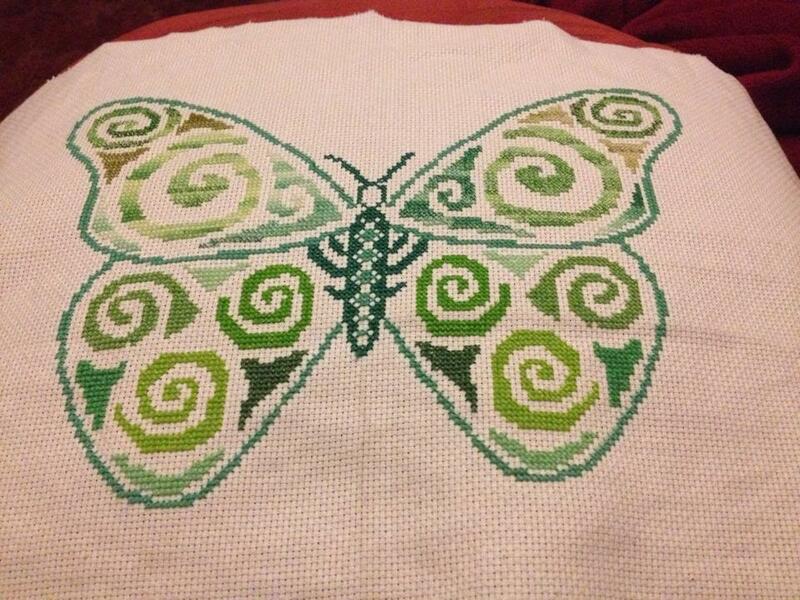 Pictures shown were stitched by Becky, Mel, Kelly and Carol. 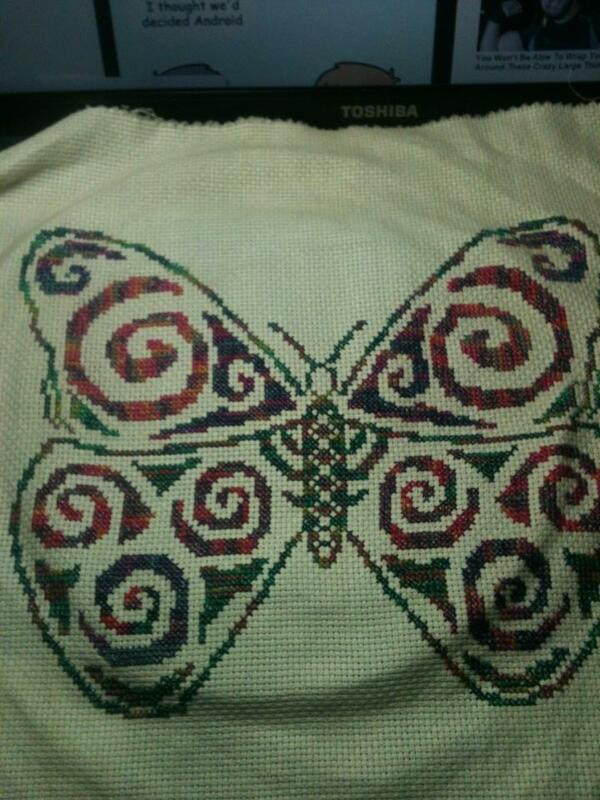 Last picture shows the software generated mock up of the pattern.